Coconut & Vanilla flavour healthy treats by Cavalor. The perfect way to reward your horse. 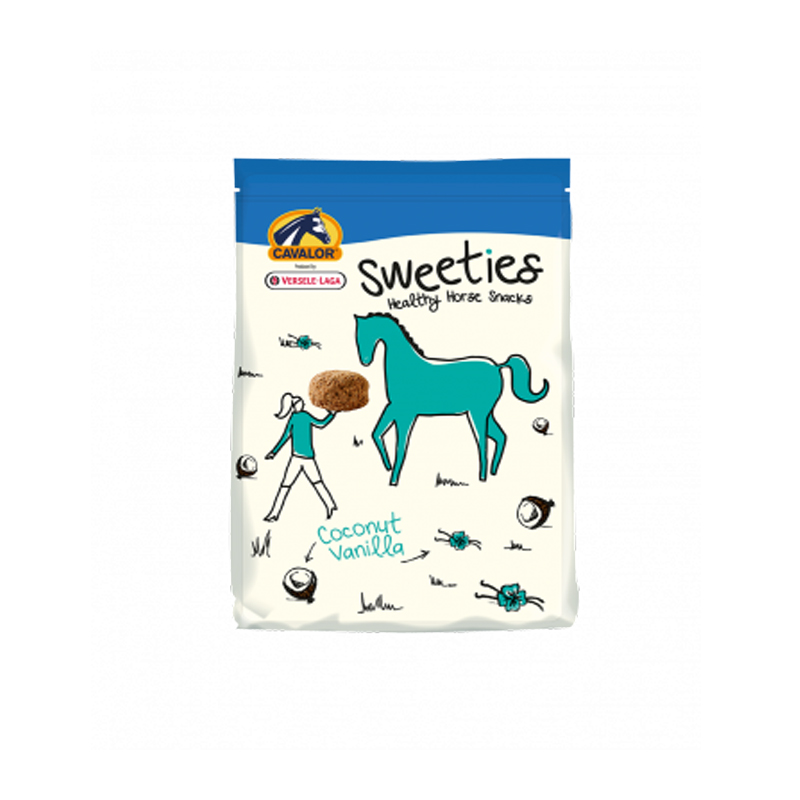 Sweeties are a tasty and healthy treat for you horse. Conveniently packaged with a resealable zip. Sweeties are coconut and vanilla flavoured, and are packed full of vitamins and minerals too! Wheat, maize, maize germ meal, barley, sunflower seed meal, carob, soya meal, soya bean oil, calcium carbonate, sodium chloride.